silagra price Online BUY NOW! Buy Cheap Pills with Discount. Only Top Quality Tabs. Top-rated pharmacies in the U.S., Canada, and internationally. Save up to 75%. where to buy female viagra without doctor prescription Rascal is a newly built 31-metre phinisi cruiser that launched at the end of 2016. Handcrafted on Indonesian shores by local shipwrights using ironwood and teak, Rascal was skillfully designed to combine traditional techniques with contemporary facilities. canadian pharmacy fake viagra A true combination of East meets West, Rascal showcases the latest in Western boating technology, the result a cutting-edge contemporary superyacht possessing the soul and secrets of a traditional Indonesian phinisi sailing boat. 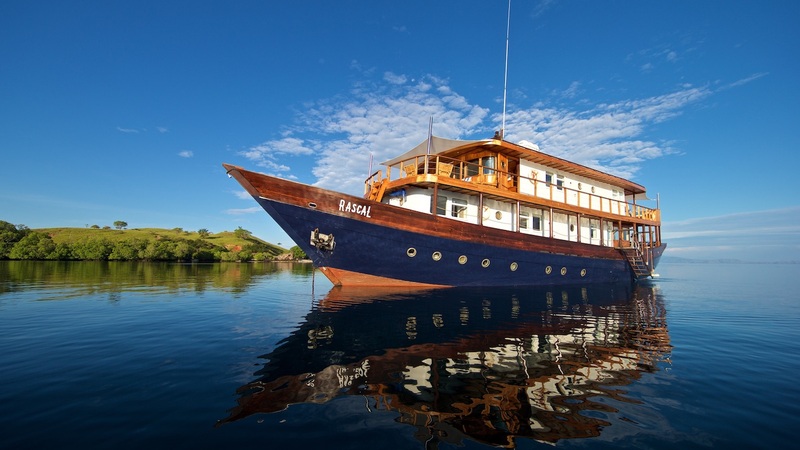 viagra drug card Rascal takes guests on experiential journeys around Indonesia’s beguiling islands, spending the summer season in Komodo National Park and winter in Raja Ampat. adderall viagra drug interactions Rascal’s experienced crew of nine includes a western cruise director, a dive guide and a talented private chef. This modern luxury yacht is the perfect choice for families or friends looking for a stylish sailing sojourn in Indonesia. prescription drug patent expiration viagra dosage Rascal was fashioned specifically for personalized cruising adventures around Indonesia’s archipelago. Dream excursions are custom designed for guests down to every last personal preference on a private charter. Operating with just one rule, ‘If coconuts don’t grow there, she won’t go there,’ Rascal is for creating memories with loved ones in far away lands. prednisone 20mg pet Rascal cruises to Komodo National Park from May to October and Raja Ampat from November to April. We create bespoke itineraries to suit a variety of prefernces in these regions, and guests may also request to sail anywhere between Bali and the Banda Islands at a reasonable relocation fee upon request. http://sgt.ro/?x=sale-viagra-tablets Rascal draws inspiration from Hampton’s style beach houses with a playful, tropical twist. Her 5 spacious air-conditioned cabins are all uniquely situated above deck, promising large windows that draw in the spectacular ocean views. Each one features high ceilings and an en-suite bathroom. Rascal’s layout is made up of two beautiful double cabins on the upper deck, with one featuring double doors leading onto an upper-aft private deck. On the main deck are two further double cabins as well as a double with a single bunk bed, making this yacht a great choice for families. All cabins feature flatscreen TVs with a catalogue of over 1000 complimentary movies, SONOS interactive music systems and universal electrical sockets. Inside the yacht, guests will find a bar and dining area decorated by local firm iBalDesigns and Charles Orchard furniture, and finished with a good dose of tropical luxe charm. Rascal’s outdoor lounge spaces include a sheltered dining area on the aft deck and a vast 1280 ft infinity roof deck for sunbathing. Rascal’s pared back beach chic is elevated with excellent hospitality. The private chef works with special menus curated by Bali’s famed Watercress restaurant, while award-winning Proof & Company mixologists inspired the cocktail list.